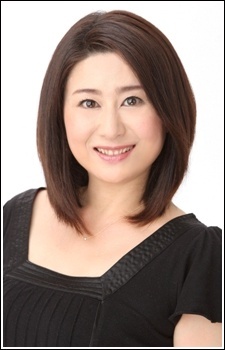 Fuchizaki Yuriko (渕崎ゆり子) was born on December 5th, 1968 in Tokyo. Her true name is Fuchizaki Yuriko (渕崎有里子). Her blood type is A. She works for Sigma Seven. Yuriko Fuchizaki's career is long in comparison to other seiyū of her generation - she began at the age of 10, dubbing films into Japanese for the talent agency Group Midori. Her anime debut came in 1984 with the role of Kishin Shinokawa in Persia, the Magic Fairy when she was in 10th grade. She is the middle child of three. She was married in 2005 and is the mother of twin sons.